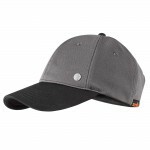 The cap is lightweight, and it has ventilation holes, so it won’t be a burden or make you sweaty as the day goes on. The adjustable strap allows resizing for best fit. Designed with lightweight polyester fabric it’s breathable, and above all else it looks good wherever you are, from the building site to a sunny beer garden. To browse more Scruffs products, visit https://www.scruffs.com/ or visit your nearest Scruffs dealer. HAIX says for the first time in its seventy year history, international dealers and team members alike gathered in Croatia for a two-day event between 11 - 12th October 2018. HAIX distributors from 27 different nations across Europe, Asia and South America met for a behind the scenes glimpse of the brand: from updates on top-secret product developments set to launch in 2019, to an access all areas factory tour.